that Help Your Child Learn to Grow Up . . .
Hey Kids! Help the Easter Bunny color eggs this Easter! What would happen if the Easter Bunny got sick? Would Easter be cancelled? Find out when Lucy Goosey visits the Easter Bunny only to find that he's gravely under the weather. With a little help from her friends, she concocts a simple but effective plan to get all the Easter eggs colored in time. Well, almost in time. She needs a little bit of extra time. That's where your child comes into play, the Easter Bunny needs your help! Help color your own eggs on the inside and help save Easter! See inside the actual home of the Easter Bunny! 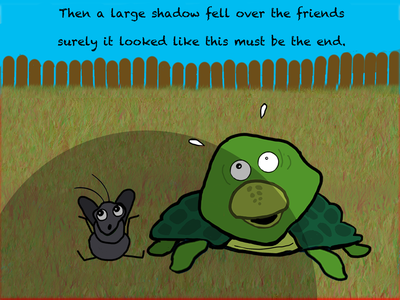 ​Includes coloring pages for your child! A Little Girl, Her Dog, and His Funny Shadow! What if you had a giant dog that looked like a BIG, FURRY, FLEA when you took it for a walk? That's what happened when Nick Nebelsky walked his dog Max. Every day when the sun set in the sky, Max turned into a Big, Furry, Flea or at least that's what it looked like to him and his wife. Nick would say, "I should write a book about the day I walked my flea." That's how books are created at Intense Media. Everything starts out as a joke and then an idea, a concept, a story, and finally artwork is added. The process is hilarious as you get to see through images created by Nick, just what a dog may look like as a flea. It's a funny title for an even funnier book. I welcome you to check out his new book and maybe you'll notice your dog looking like something else the next time you walk him/her. To add a little bit of Awe-Factor, we re-introduce Claire from Sheldon and give her a newer, more youthful look! And this copy also has three black and white pages that you can take home and color your own version. Meet Sheldon, the Square-Shelled Turtle. He's a pretty normal turtle; he likes sports, music, and eating flies! 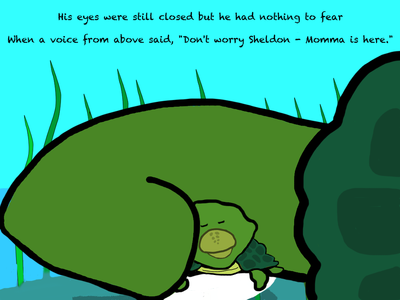 But the one thing Sheldon doesn't think fair, is that while other turtles have round shells, Sheldon's shell, is, well, square! 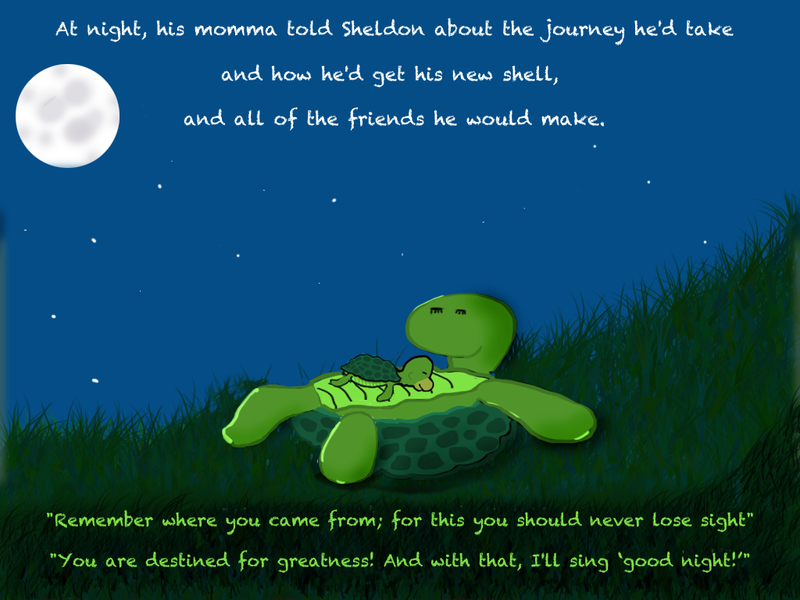 From the name-calling, the teasing, and the snickering, Sheldon puts up with a lot. Just when he's at his lowest, he does something that SURPRISES EVERYONE! He listens to his heart and THAT makes all the difference! ​147 countries. It, along with it's predecessor were listed as TOP TEN apps by SmartAppsForKids.com and a TOP PICK by Barnes and Noble's Nook. In 2012, we decided to turn it into a paperback book and sold 1,300 books in it's first month through book grants and Costco Wholesale stores in NC and AZ. "This wonderful book (Cornered!) 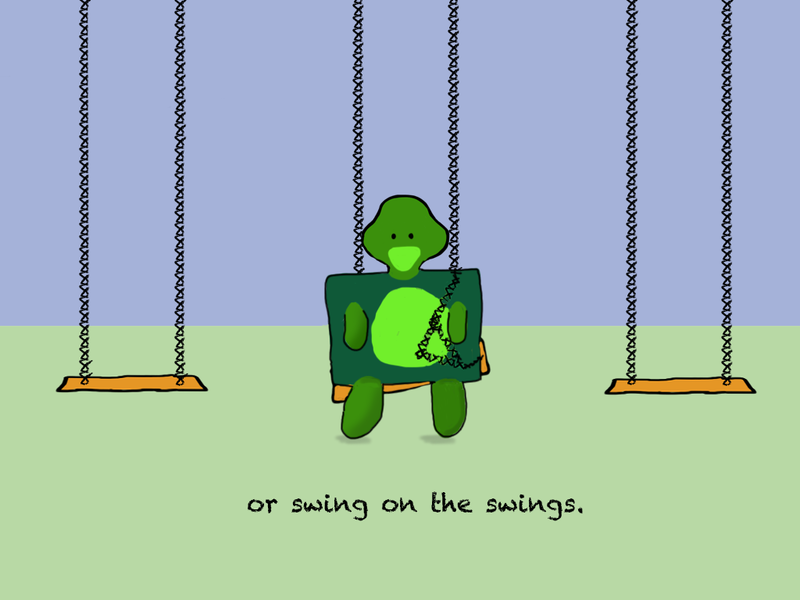 is helpful to any child who feels square in a round world! The questions at the end are a nice starting point for conversations for teachers, friends, and parents." "As so many of our young children struggle with feeling 'different' and many become victims of bullying by their peers, this fun little book (Cornered!) has a reassuring message that each person is OK!" Books that Help Us All Grow to Learn! Buy the book that SmartAppsForKids.com calls, "Adorable... I just want to hug it!" Sheldon's Adventure is the story of a young turtle that's not happy with his shell. He wants one that's not so itchy and prickly. As he gets older, he starts to notice another interesting thing about his shell - it's beginning to look SQUARE! 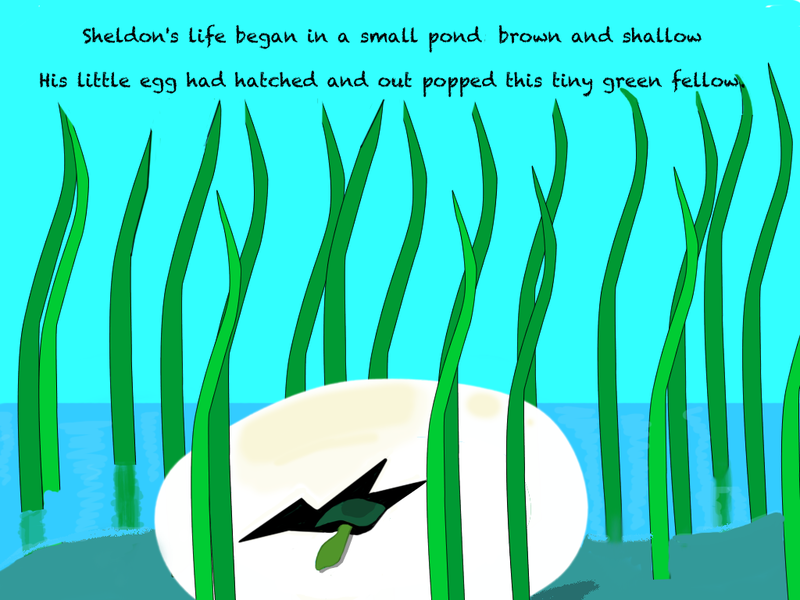 Sheldon's Adventure is a cute little rhyming story that will teach your child that it's okay to go on an adventure as long as you remember where you came from. It's a great book for children going of to school for the first time as well as those young kids who question everything. As the story unfolds, Sheldon not only figures out who he is but also learns that that itchiness and scratchiness is because his shell is well, Square! 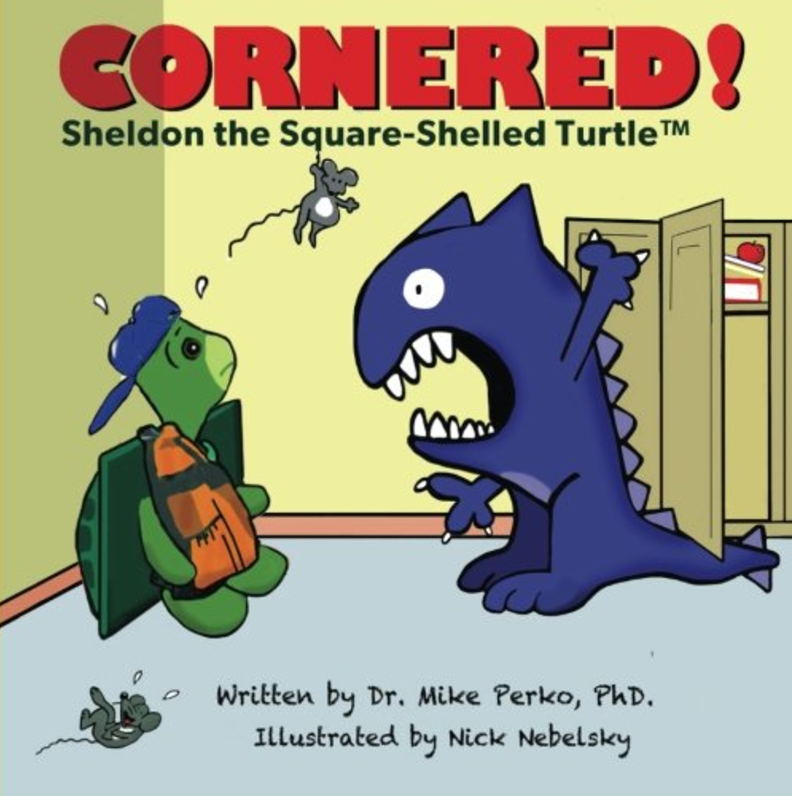 This is the first book of three bullying stories from Intense Media that feature "Sheldon the Square-Shelled Turtle.™"
​Buy this and all Nick's Books at Amazon.com. 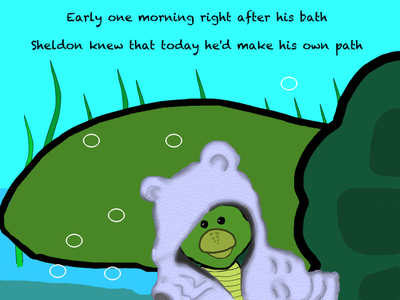 Read all about this cute and lovable blue hippo who is perplexed that he can't find his last name. He searches high and low until finally finds in the most unusual place. He enlists the help of a disco-dancing turtle, a fish with a mustache, and uses a map that shows every animal in the forest. Will you help him discover where it is, when you find it, you'll laugh! Filled with great characters! There are two sizes of this book, the larger size includes a full map of the isle of animals! Buy this and all Nick's Books at Amazon.com. I just used a Kindle tool called, "Kindle Create" to publish my new ebook on Kindle. It creates a file called ".kpf" which formats ebooks so much better. When I created the paperback last night, I simply uploaded a PDF and that was a breeze! They also offer free book cover design which was cool! For speed and ease of use, I give the nod to KDP over CreateSpace when it comes to the printed book, but I'm still comparing them. The only thing I'm uncertain of is distribution. The main reason I'm going the KDP route is that on KDP, you can promote your book with either AMS (Pay per click) advertising or you can promote your ebook with free or promoted giveaways. That's something you can't do on Create Space. 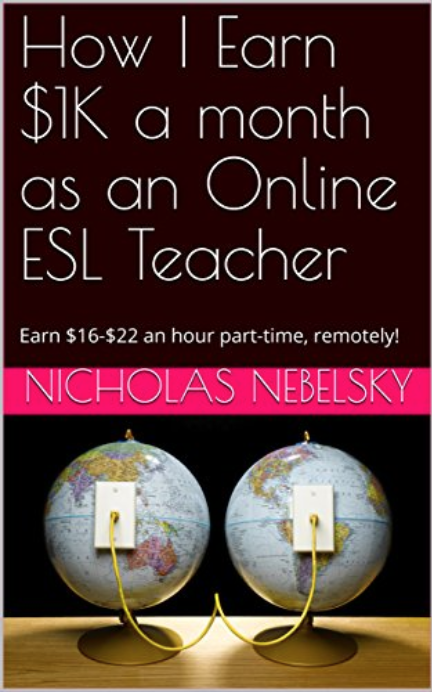 So this weekend, I'm taking advantage of their FREE EBOOK promotions for my new book, "How I earn $1,000 a Month as an ESL Teacher." I chronicled my experience of becoming a Qkids teacher and generalized the info for all ESL teachers. I currently have a FREE ebook promotion taking place until Sunday. So please check it out and share it with your Facebook friends who are thinking about teaching ESL. If you got any kind of value from it, please leave a review. This is my first attempt at creating an ebook with KDP and I will report my findings on the promotion and other factors as they arise. I hope you enjoy my book! *Note: I just uploaded new content using "Kindle Create" software and it hasn't refreshed yet.